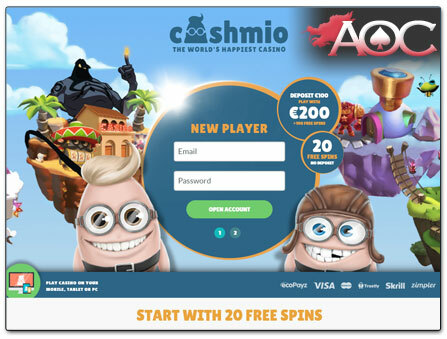 From the moment you visit Cashmio Casino, you are greeted by a mobile-friendly interface, and a plethora of colourful, animated advertisements which showcase the hottest games the casino has to offer. Licensed out of Malta and the United Kingdom, this fresh and vibrant online casino site accepts players from across Asia, specifically those based in Japan. Cashmio debuted in 2015 and has become a favourite place for players across the Far East to play their favourite games in such a short space of time. Far from being a simple, run-of-the-mill online casino, Cashmio thrives at offering originality and differentiating their casino from its counterparts. Their Daily Missions, for instance, allow players to earn extra bonuses by landing achievements playing their favourite slot machines. Every day, three new missions are thrust into the limelight, and all you must do is play to earn spins and free cash. With a good selection of payment methods for Asian players, total security and a user interface which is highly tuned to gamers on the go; Cashmio Casino is undoubtedly worth a look. The website is geared towards mobile gameplay, but you can also play on your desktop device. Cashmio offers a Japanese language option for players. NetEnt and other top providers all offer their games there. Twin licenses guarantee fair play and security. Doesn’t accept Japanese yen, players can use the US dollar, though. Limited selection of payment methods for players in Asia. Winnings of $50,000 or more (including progressive Jackpot payouts) “can” be paid out in up to 10 instalments. Players who choose to sign up and play with Cashmio Casino will be invited to claim a no deposit required bonus. The Japanese Cashmio Casino site offers all players a $20 bonus with no deposit needed. That can be used to play a handful of top slots, with the potential to win real money. The maximum winnings from this offer are capped at $100. There is also a match deposit bonus offer for all newbies who choose to make their maiden deposit at the casino. This offer (available via the Japanese site) offers players a 100% match deposit bonus on said deposit. It can double your initial deposit figure to the tune of $500. To claim this bonus, players are required to deposit at least $20 into their account. The wagering requirements at Cashmio Casino are just below the industry standard. No deposit and free spin bonuses have fixed wagering requirements of 5x. However, welcome bonuses and Daily Missions have 50x and 45x playthrough rates, respectively. If you don’t speak Japanese, there are alternative no deposit and match deposit bonuses available in the International English Cashmio Casino site. What you can claim with these varies, depending on where you reside. As for other promotions and bonuses, Cashmio Casino regularly runs their Daily Missions offers, which we’ve already touched on. Each day, three new missions will appear in the lobby. Three very different games are selected with three very different objectives. Players who meet those objectives within the allocated time frame (usually 24 hours) could be eligible for free spins or bonus cash. The full terms and conditions, including information regarding those missions, can be found in the Cashmio lobby, though. Players will find no shortage of inspiring casino games over at Cashmio. NetEnt power the casino (as is evident from the surplus of NetEnt games in the lobby), but other developers have also got into the mix. 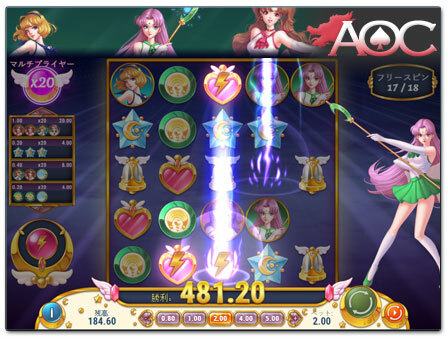 Expect to find games from such big names as Microgaming, NextGen, Quickspin and Play’n GO that score with quality online slots such as Matsuri and Moon Princess (based on the Sailor Moon theme). In all, you can expect to find over 1.000 games here. Hint: If you want to filter the games by software provider rather than looking up a specific title, you can do so via the sophisticated search function which you can find at the top of the screen (see image below). In addition, you can add games to your list of favourites. What can you play, though? The library at Cashmio is vast. Seemingly every type of gaming genre is covered. And although slots form the lion’s share of games at this Asian-friendly casino, you can also expect to see a handful of table games, too, most of which have been provided by Scandinavian powerhouse, NetEnt. If you’re the kind of player that likes the big hits, they don’t come much bigger than NetEnt’s mega movie-themed Planet of the Apes (see video below), Microgaming’s legendary Immortal Romance and Thunderstruck II slots, or the quirky Yggdrasil release, Penguin City. Some players have a craving for the big progressives. Unsurprisingly, the internet’s biggest jackpot slot machines can also be found here. These include the North mythology-themed Hall of Gods, the lifestyles of the rich and famous-themed Mega Fortune, and the best-paying progressive slot of all time, Microgaming’s African-safari adventure slot, Mega Moolah. A trip into the live casino section at Cashmio will reveal that they have a handful of top games for you to play there, too. NetEnt provides some of the games, but it is Evolution Gaming’s live dealer titles which really impress. Immersive Roulette (see image below), Dream Catcher, Ultimate Texas Hold’em, Caribbean Stud, Speed Roulette, and Three Card Poker make up some of the more original games, but there are also standard live dealer roulette, blackjack and baccarat games with varying table limits up for grabs, too. Finally, as mentioned, Cashmio Casino excels at offering mobile casino games. In fact, they thrive on it. Their website is specially designed for mobile users, so virtually all the games offered at the casino are available to play on your smartphone or tablet. Moreover, Cashmio doesn’t require players to download any apps or software. Just open the website on your phone or tablet’s web browser, and you’re good to go. In addition you can also accomplish deposits and withdrawals via your smartphone as your balance is both available in the mobile and desktop casino. You might expect to find the Japanese yen as an available currency option at an online casino which actively offers its services to players in Japan. However, that isn’t going to be the case with Cashmio Casino. Although they don’t accept yen, they do take the US dollar as their base currency. That is, therefore, the ideal currency for Japanese players and those in other Asian countries alike. Players can expect to be able to deposit using card-based options (VISA, MasterCard) and ecoPayz at Cashmio. It is worth noting that few Asian online casinos permit card-based withdrawals, though, so other options are required for cashing out if you choose credit card deposit options. Withdrawals are particularly fast at this site, with players able to withdraw in 24 hours or less with most payment methods. “Manual flushing” (removing the withdrawal from the pending period and sending it straight to processing) is not available at Cashmio, and players need to be aware of the withdrawal limits in place. If players win more than $50,000, the casino reserves the right to stagger those payments over up to 10 withdrawals, at a rate of 10% of your winnings per month for ten months. Q: Is Cashmio a Japanese online casino? A: No, but the fact that it offers Japanese as an available language means that Japanese players are more than welcome at this online casino site. Q: Can all Asian players play there? A: No. Players based in China, Hong Kong, Indonesia, Singapore, Malaysia, the Philippines, and Cambodia are not permitted to play at Cashmio Casino. 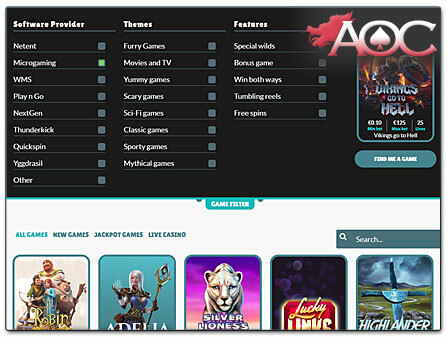 The casino seems to primarily aim its services at Asian players based in Japan and South Korea, with an emphasis on Japan. Q: Why doesn’t Cashmio Casino accept the JPY currency? A: When an online casino doesn’t offer its services in a local currency that is usually because national banks refuse to process gambling-related transactions. However, since other Japanese casinos such as Royal Panda do permit JPY to be used as a valid currency option, that isn’t the case here. There is no official reason why Cashmio doesn’t accept the currency, but players are hopeful it might appear eventually. Q: Can I claim “other” welcome bonuses when I sign up as a Japanese player? A: Yes. Japanese players are not forced into claiming the bonuses available at the Japanese language site. Popping into the International English version of Cashmio will provide you with other bonuses, but you must then have an account in English. It is convenient for many players to stick to the Japanese offers in the Japanese Cashmio Casino, unless they don’t speak Japanese, of course. Q: Are there any Asian speciality games at Cashmio Casino? A: Although the live dealer offerings at Cashmio Casino doesn’t specifically focus on Asian gameplay, there are a few online casino games which have Asian themes. Asian Beauty, Lucky New Year, Fortune Cat, Lucky Twins, Imperial Palace, and Chinese New Year are fine examples of these types of slots. Slot machines with a Japanese and/or Anime feel include, for example, Koi Princess by NetEnt as well as Moon Princess (based on the Sailor Moon theme) and Matsuri by Play’n GO. Furthermore, Sakura Fortune by software developer Quickspin and Kaiju by ELK Studios are worth giving a run for their money! Q: Can I play the casino games on my mobile? A: Yes. Without having to install any casino app, you can access Cashmio and all its games via your mobile or tablet too. Even the live dealer games are available on mobile. All you have to do is visit Cashmio in your device’s web browser and you will land on their mobile-friendly website. In addition you can also do your banking via your smartphone as your balance is both available in the mobile and desktop casino.